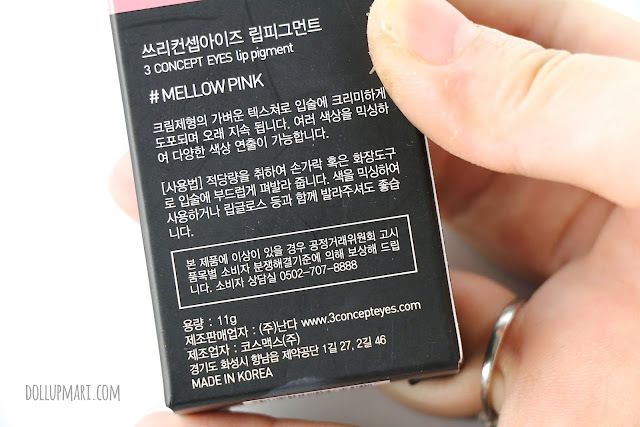 It's time for another 3 Concept Eyes review! And sadly this'll be the last for now as I have yet to get my hands on more 3 Concept Eyes products. 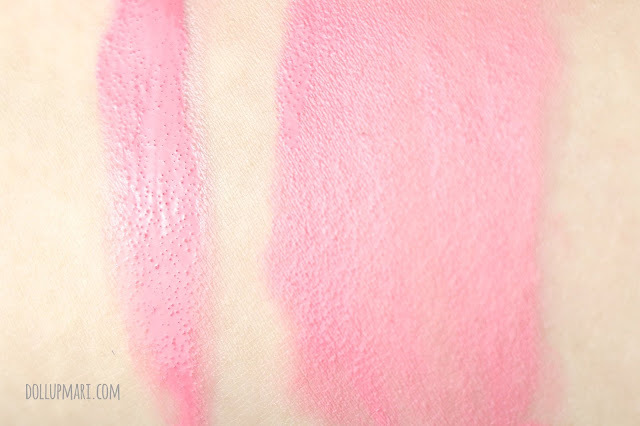 Today I'm going to talk about their lip pigment. 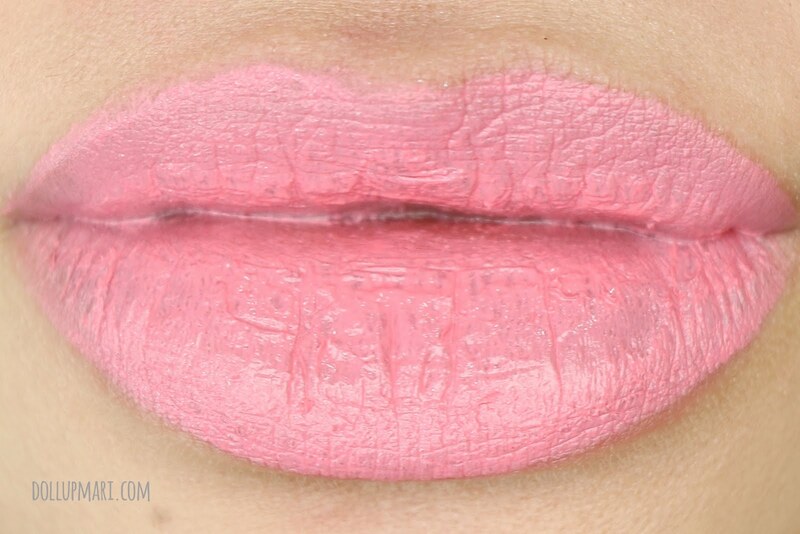 Yes, as the connotations imply, it's like Lip Tar, but with its own personality. It comes in a small box, about as small as a matchbox. This shade is in mellow pink. But given that this is one of their products that do well, there are many other shades and spinoffs. As mentioned on the box, it's 11g and is made in Korea. I like how they are very concerned about hygiene that all their products have safety stickers on them. This tube is larger than a lip tar tube in terms of spread, but it actually just has almost the same amount as lip tars. Lip tars have fatter tubes, though. The moment you take the safety seal off, and unsrew the cap, you'll see this nozzle. This is a feature I like because I can squeeze out a very small amount of this. 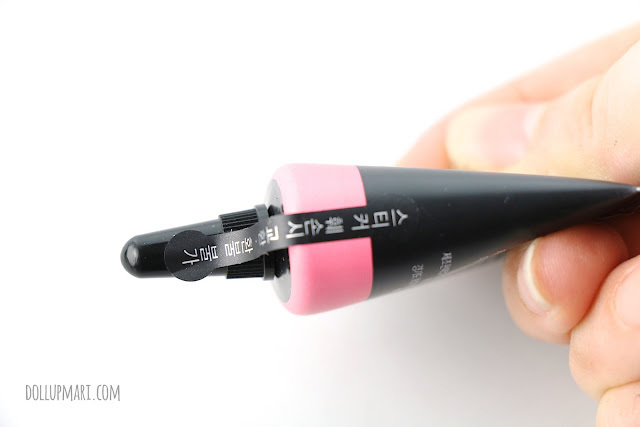 I think this is just the same situation when lip tar transitioned from a doe foot applicator to a nozzle type applicator so that people could have more control and use their brushes. And since this is liquid, this will look when applied better rather than smacking the lips and asking the gods for guidance. This is how the swatch looks like. The whole time all I could think of were scoops of strawberry ice cream and tall glasses of strawberry milkshakes because that's how the color looks like. It's a cool, rosy color with a tiny tiny bit of gray. I now take my lip tar brush and apply the product. And maybe I keep on thinking of strawberry milkshakes because this product also smells like strawberry milkshakes hahaha. While lip tar is minty and everything because it uses peppermint oil as a preservative, this one, on the other hand, smells like a tangy strawberry milkshake. It smells very nice, actually. 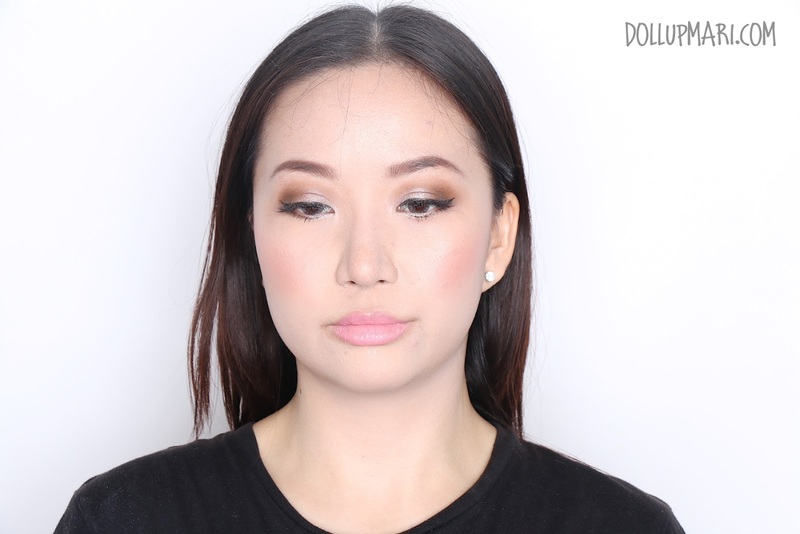 It's very pigmented, but what I like that at least for this shade that I have tried, it's not difficult to handle. Ever had those experiences wherein you just dabbed a little too much lip tar, tried to erase it, and then sh'bam your whole face is red or maroon now? This one is more controllable because when I try to wipe excesses off with my fingers, the excess comes off without smearing on everything else in the world. But, I say this, too, with caution, because this is a very light shade and I have yet to try their lip pigment in a dark shade to validate this observation. 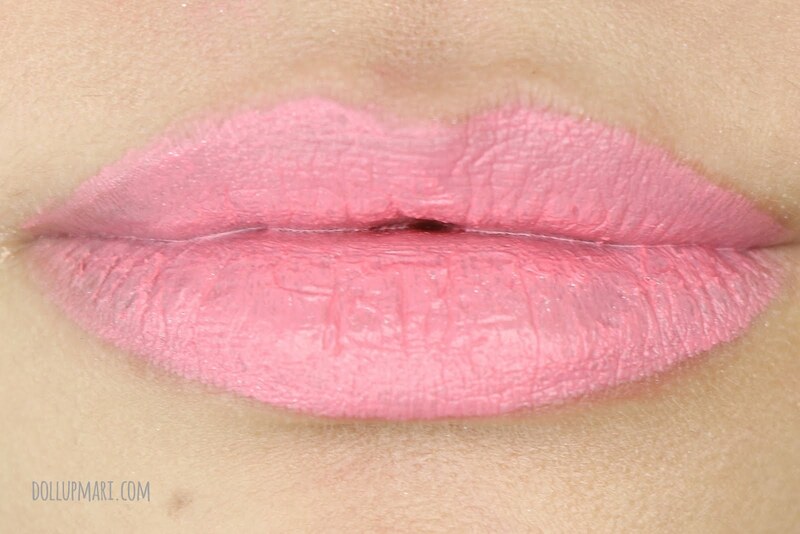 This is how it looks like on the lips. It has a semi-matte finish, if I may say, and it feels silky on the lips. It's very buildable, though for people like me who always have chapped lips, I get better results when I slather more of this as it can cover up the dry blotches on my lips better. Initially, I was a bit uncomfortable about this because I would frequently end up tasting the product because it was still a bit runny. But I think after a bit of time passed, the formula was less runny and I no longer tasted the product while applied. This is how it looks like with fish eye lens mode. I think you can see how much chapped skin the product is trying to cover hahaha. 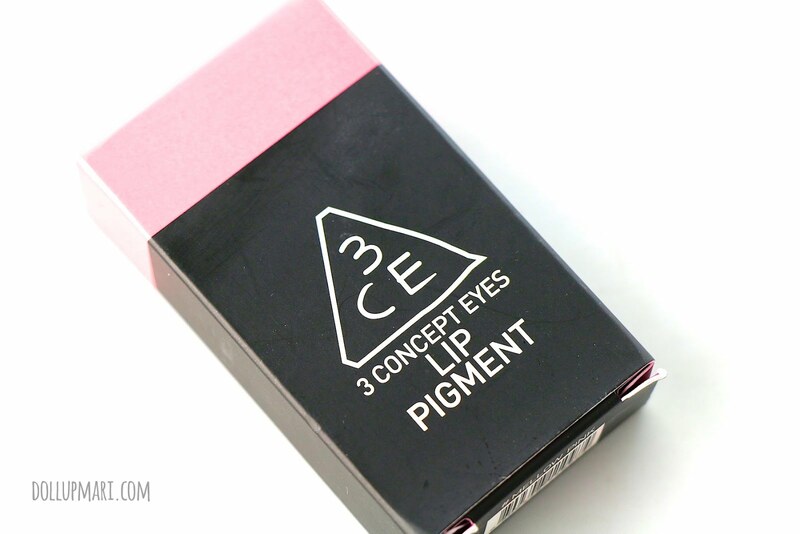 This is nice for those who want an illusion of whiter teeth because it's got cool undertones. This is a bit too vibrant to pass as an MLBB lipstick, but at least it isn't too loud that people can tell where your gums and where your lips are. But I think the illness of all lip pigments is that there is a tendency for the product to get onto the teeth. 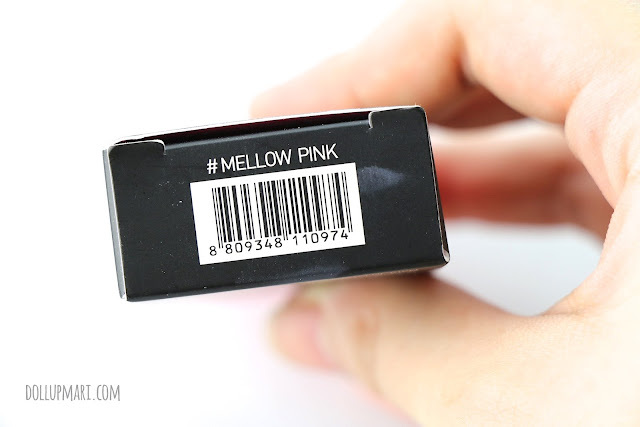 I like how these products are so pigmented (no pun intended) that they leave nice stains on the lips, but whenever I use this on someone, I have to tell them to watch their teeth because it gets onto the teeth, especially when the product isn't fully set yet. 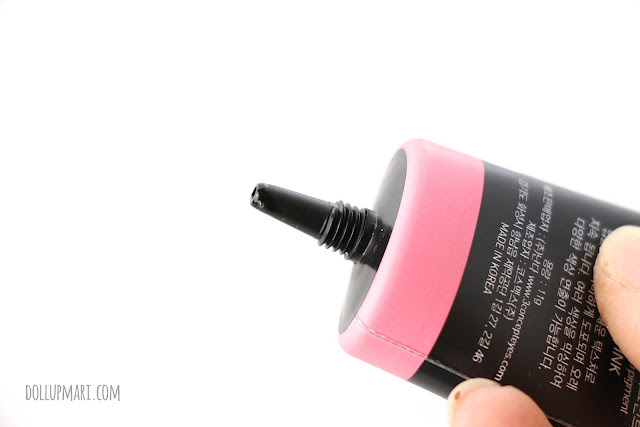 This product lasts almost just as long as lip tar does. I don't keep on retouching when I use this one, which is nice. 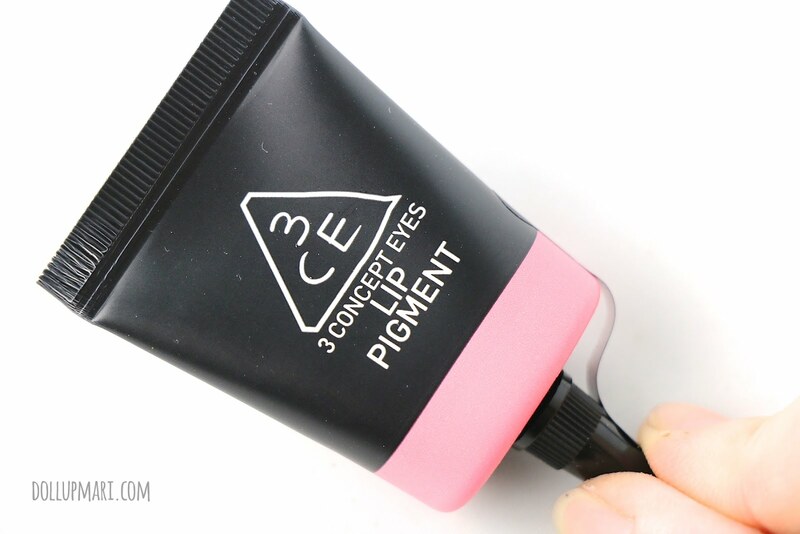 But it leaves a powdery finish tint. I don't remember how much I exactly got this for, but I think it's at the range of 600-700. It's still cheaper than a Lip Tar if I remember correctly, so there's that. Super light lang ng pagka-pink niya! Parang liquid lipstick siya. Medyo expensive nga lang Ms. Mari. Bagay sa light make up.